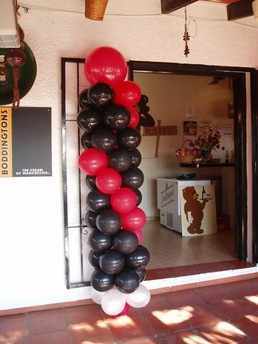 Take a look at some of the decoration ideas below. 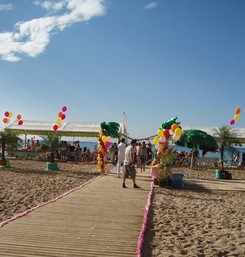 From business launches to television sets to wedding decoration we can help you take the strain out of making your event look spectacular. 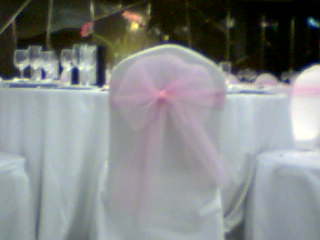 Just click on the picture to enlarge. 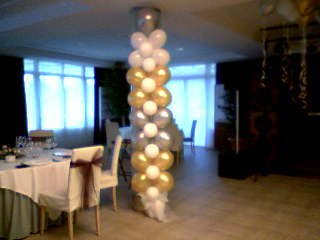 Columns can be used in so many ways. 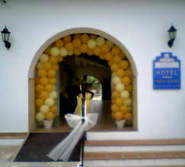 Choose your colours and enhance an entrance. 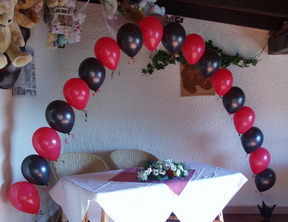 Indoor air filled garlands can last for weeks. 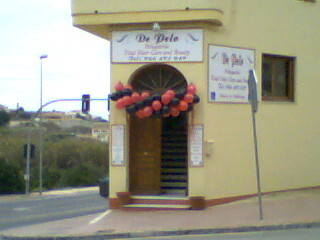 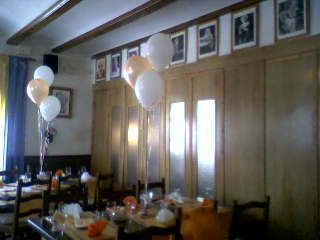 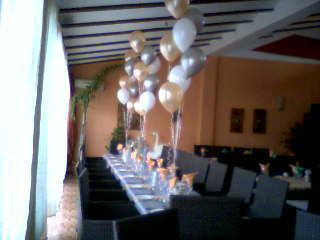 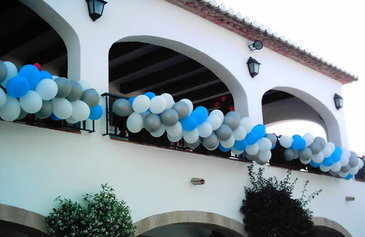 From Christmas decoration to business openings we have supplied balloons garlands in an array of colours. 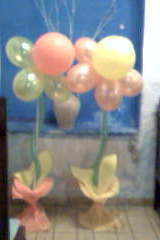 balloons in a colourway to your choice. 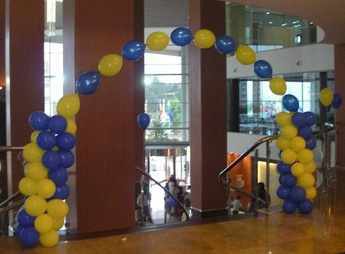 Four balloon cluster arches, single balloons and link-a-loon. 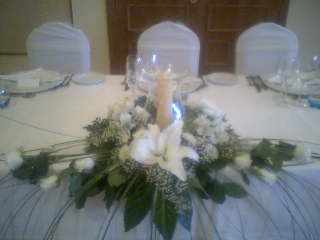 with your own ideas and set up your personal design. 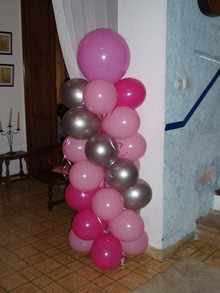 but can fill spaces with their height by using more balloons. 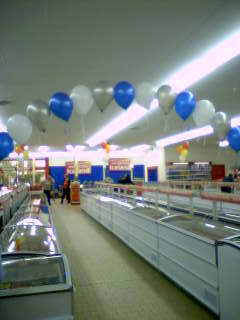 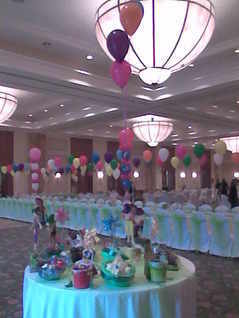 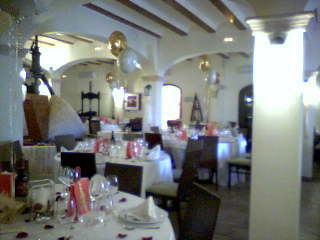 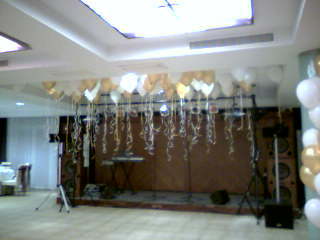 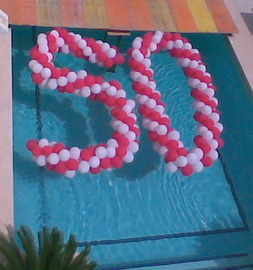 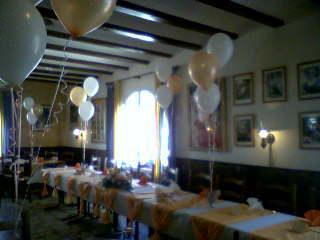 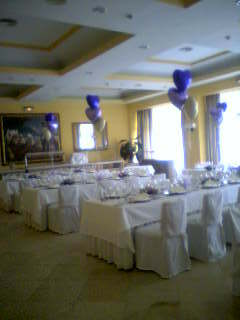 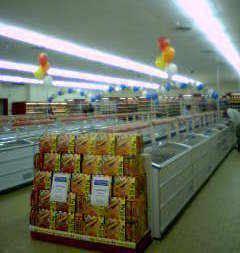 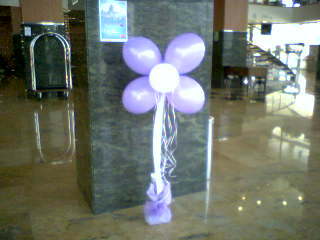 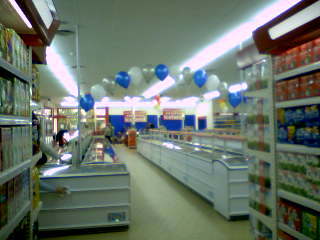 floor balloon decorations and even a ceiling fill of helium balloons. 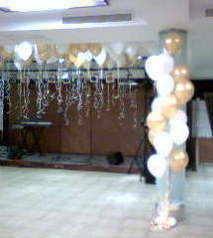 Enhance the dance area with helium filled balloons dancing above the dance floor. 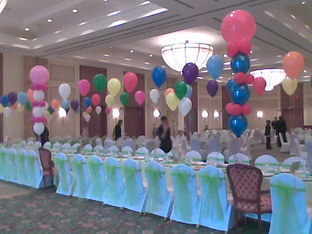 Colouful single balloons were used here for each of the children. 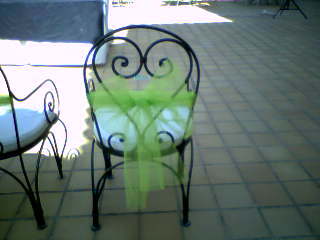 "Celebruty Trees" adorned the chairs of the special Communion children. 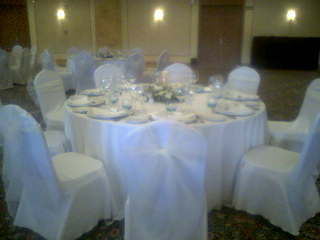 added to the fun and look of the banquet hall. 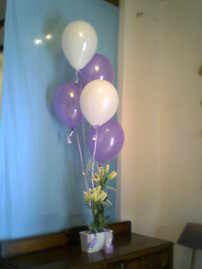 hand tied in a colour of your choice. 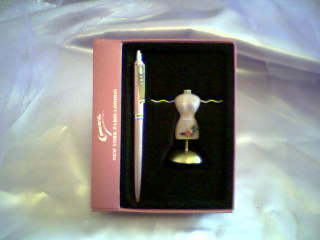 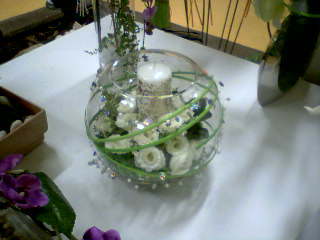 and give them a cherished momento of your event. 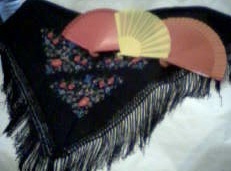 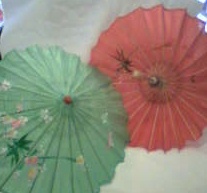 Parasols and fans are ideal for those hot summer months. 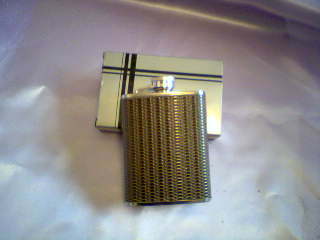 or indeed to keep the chill away as the evening progresses. 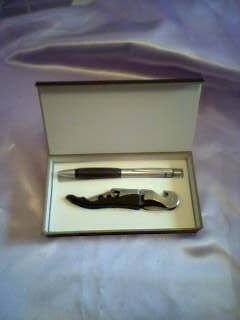 Give your guests a cherished gift to remember your occasion by. 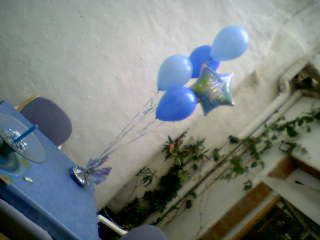 with your names and the date of the event. 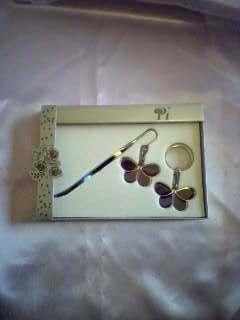 Here are just a few examples of favours available for both ladies and gentlemen. 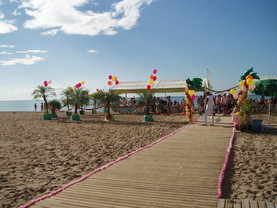 The Spanish often use petal carpets to adorn a special walkway. 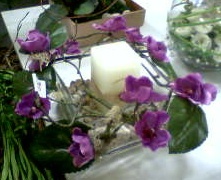 which adds colour and fragrance. 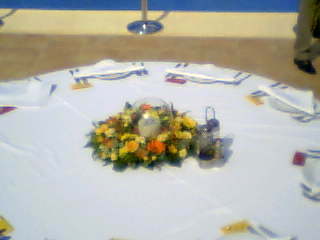 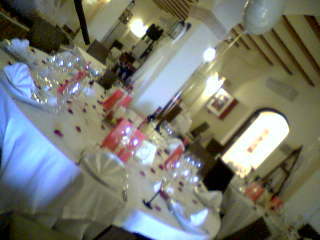 The petals can also be added to the table decorations. 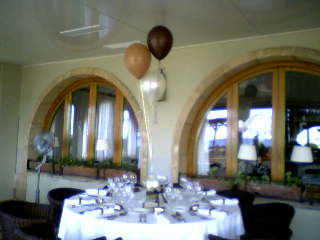 A very popular idea now to replace messy paper confetti or rice is bubbles. 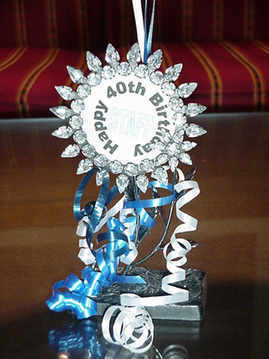 Make yours even more special by having the labels personalised with your names and the date of your event so your guests can take them away afterwards. 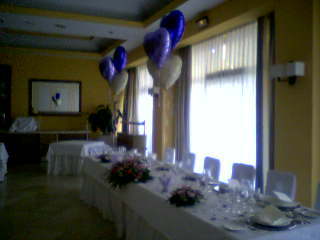 the wine labels and balloon weights. 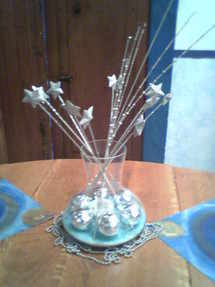 Using candles and elegant glassware can really set your table decorations. 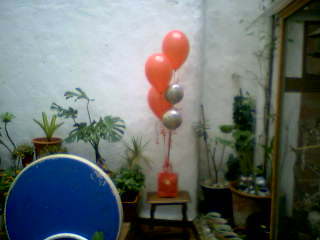 around the garden to make a magical effect as it goes dark. 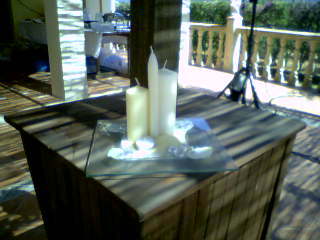 With so many venues enjoying a pool feature we can even supply floating candles. 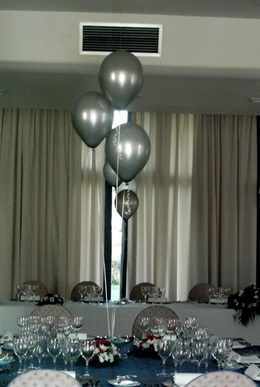 Add to the magic with metallic helium balloons anchored to the bottom of the pool on invisible line to give the appearance of the balloons literally floating above the water. 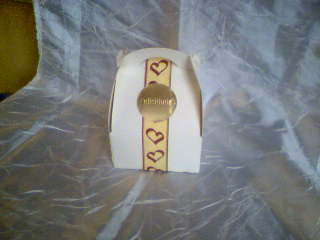 Cake boxes can be detailed with matching ribbons to other decór. 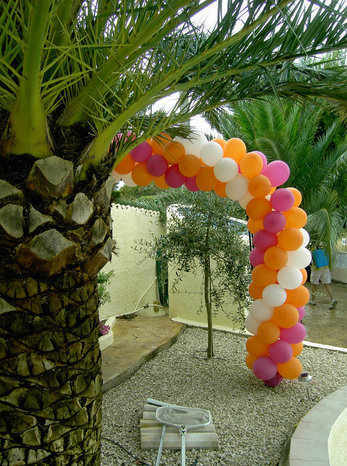 From flowers to palm trees we can create something fun and imaginative. 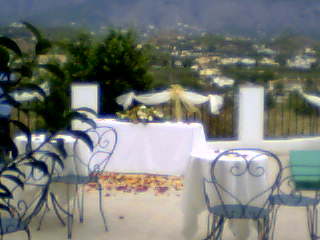 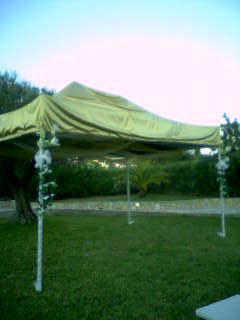 a gazebo decorated to your colour scheme for the day. 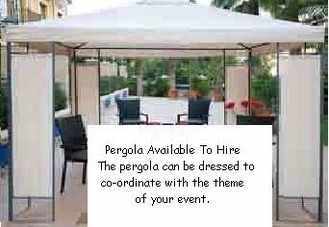 We can also dress an existing pergola you already have. 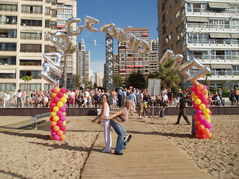 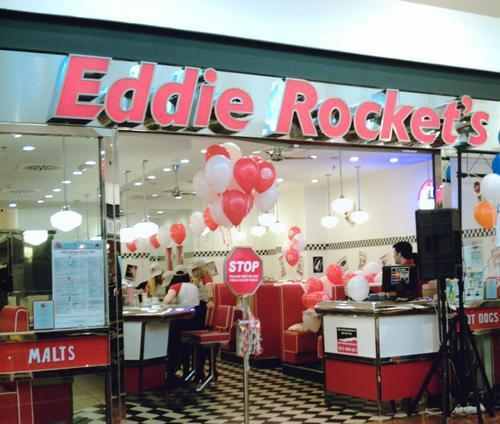 Make your opening and promotional event look one step ahead of your competitors. 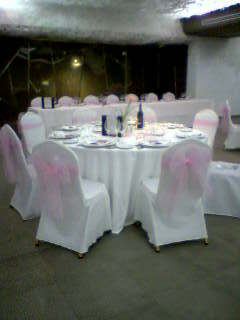 With your corporate colours and image we can give you that look. 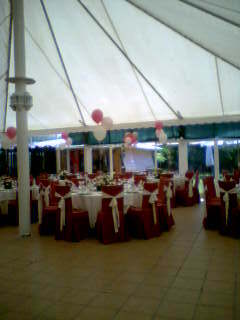 decorating the happy couple's wedding ceremony area. 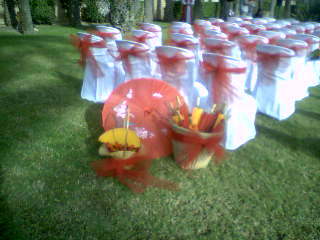 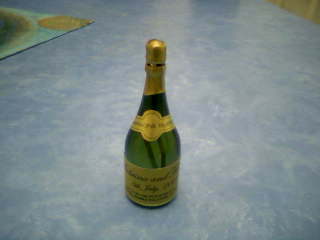 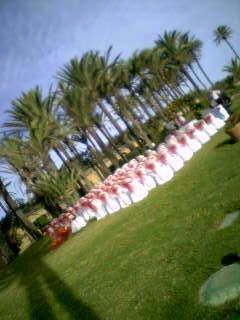 it certainly befitted the happy couples nuptials!